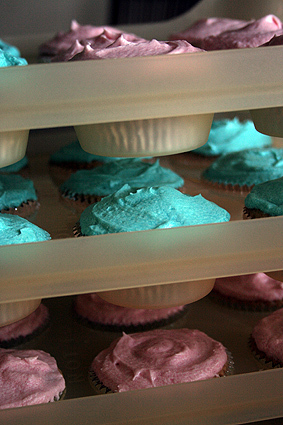 36 cupcakes, half blue and half pink for a Christening. Delivered at 7:45 this morning. On my way to run 7.5km.